Sunday, July 10, 2016 at 4 p.m.
David N. Saperstein is the Ambassador-at-Large for International Religious Freedom. He was confirmed by the Senate on December 12, 2014, and was sworn in and assumed his duties on January 6, 2015. The Ambassador at Large is, by law, a principal advisor to the President and Secretary of State and serves as the United States’ chief diplomat on issues of religious freedom worldwide. He also heads the Office of International Religious Freedom in the Bureau of Democracy, Human Rights, and Labor. The President also has designated Ambassador Saperstein to carry out the duties in the Near East and South Central Asia Religious Freedom Act of 2014. 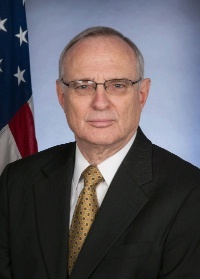 Ambassador Saperstein previously served for 40 years as the Director of the Religious Action Center of Reform Judaism (RAC), overseeing the national social justice programming for the largest segment of American Jewry. A rabbi and an attorney, for 35 years Saperstein taught seminars in First Amendment Church-State Law and in Jewish Law at Georgetown University Law Center. A prolific writer and speaker, Ambassador Saperstein has appeared on numerous television news and talk shows. His articles have been published in the Washington Post, the New York Times and the “Harvard Law Review.” His latest book is Jewish Dimensions of Social Justice: Tough Moral Choices of Our Time. A detailed schedule of the full conference can be downloaded HERE. The ICCJ serves as the umbrella organization of forty national Jewish-Christian dialogue organisations in over thirty nations around the world. Through its annual conferences and other consultations the ICCJ offers a platform where people of different religious backgrounds examine current issues across national and religious boundaries, enabling face-to-face exchanges of experience and expertise. The international headquarters of the ICCJ are located in Heppenheim, Germany in the house where the great Jewish thinker Martin Buber lived until Nazi persecution forced him to flee. The CCJR is an association of nearly forty centers and institutes in the United States and Canada devoted to enhancing mutual understanding between Jews and Christians. It is the ICCJ’s national member organization for the United States. The CCJR publishes Studies in Christian-Jewish Relations in collaboration with Boston College’s Center for Christian-Jewish Learning. The Council also maintains Dialogika, an English language supersite for resources and research in Christian-Jewish relations in partnership with the Institute for Jewish-Catholic Relations of Saint Joseph’s University in Philadelphia.